National Institute of Design, Ahmedabad NID has published recruitment Notification to fill up 35 vacancies of Teaching, Technical and Administrative posts in its Organization. The last date for receiving application is 11-03-2019. New NID Recruitment 2019 Notification announced. 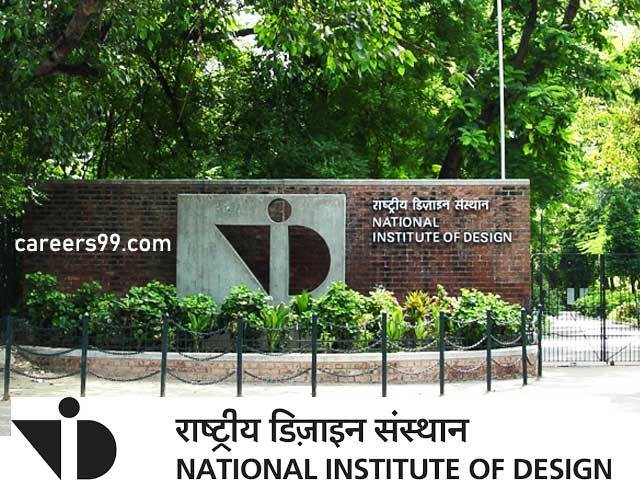 National Institute of Design, Ahmedabad (NID) has 35 amazing openings. As per the notice, the Organization has Vacancies for Teaching, Technical and Administrative posts. Interested aspirants may apply for NID Recruitment 208 only through Online mode. However, application process starts from 19-02-2019 and ends on 11-03-2019. so, all job seekers must apply before the deadline and be a part of NID Jobs 2019. Furthermore, details of eligibility criteria, application fee, age limit, pay scale and others are mentioned below. However, you can also visit @ www.nid.edu and careers99.com to know more about NID Vacancy 2019 details. 1. Degree in any discipline from a recognized Institute or University. Working knowledge in computers. 2. A Minimum of 15 years of relevant experience in a Government/ Educational/Research Institution. Degree from a recognized University and At least 5 years of professional supervisory level experience in similar areas. 1. Degree in Library Science/ Information Science and Degree/ Diploma in Computer. 2. Experience in Library Automation and Administration and 5 years’ service as Deputy Librarian or equivalent in a recognized institution in the grade pay of ₹5,400 or with 8 years in grade pay ₹4,600. Bachelor’s degree and A minimum of 5 years’ experience as a Warden in a reputed educational institution/ organization/ university in the GP of Rs. 2400 as per the 6th CPC or Pay Level – 04 as per the 7th CPC or equivalent emoluments. A Degree or Diploma in the relevant subject with Four years in case of Degree holder or six years in case of Diploma holder in the relevant field. A Degree or Diploma in the relevant discipline/ subject with Four years in case of Degree holder or six years in case of Diploma holder in the relevant field. Level- 12 (Rs.78800-209200) of the Pay Matrix (6th CPC PB-3; GP-Rs.7,600). First of all, Open Official Website i.e., www.nid.edu or Below Mentioned link from careers99.com Website.